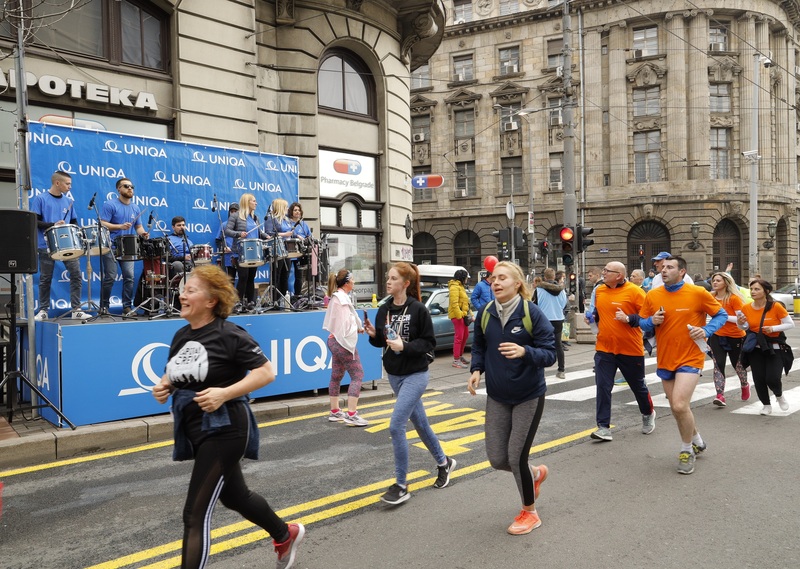 Sava Randjelovic, a water polo representative and one of the promoters of UNIQA Insurance, at the invitation of the company, awarded the winners, but also supported the campaign “Cancer is curable” at the 32nd Belgrade Marathon. “Trka zadovoljstva” because this company has decided to donate one euro for each kilometer that passes together for the acquisition of magnetic resonance for the Clinical Center of Serbia. “The path from start to finish is the easiest to overcome when it is paved with something you believe in. We crossed the five-kilometer long route without any effort today-knowing that every step we make is a step towards the acquisition of the necessary diagnostics for the Clinical Center that will take care of most patients during the year. The goal of this time was not only to pass through the winning gates at Terazije, but to gather in as many numbers as possible and swim the route with our UNIQA colors, “our water polo representative said. 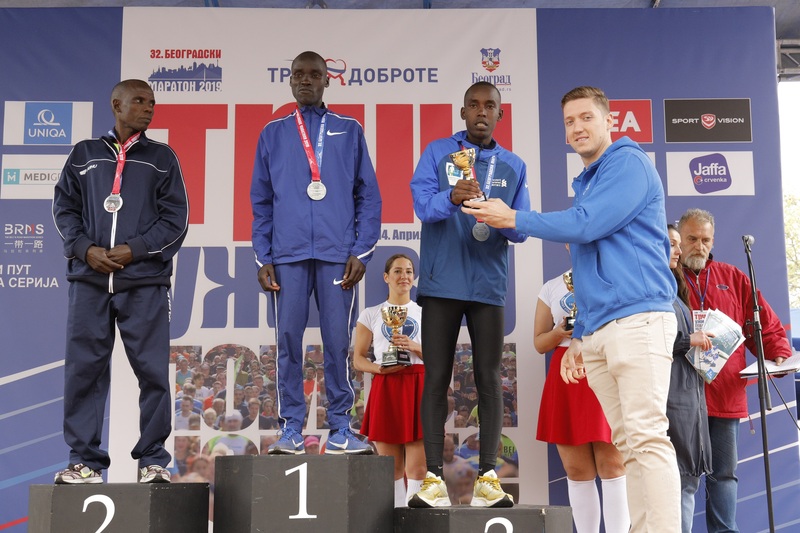 After the Race, Randjelovic welcomed the fastest runners at the Terazije. According to him, it is a special experience that after years of sports career for the first time he handed the cup to champions who, with superhuman persistence, managed to reach the finish line first. “In sports, as in life, the greatest victories are gained by heart. The marathon is a kind of triumph of will, where, in addition to physical readiness, a great role is played by mental power. Motivation and a good rhythm are crucial on the 42 km long route. That’s why I’m thrilled with the organization and the UNIQA Music Avenue whose points are in key places – so that runners give the best wind in their back when they need it – at the most critical points of the section. I am pleased to have participated in Maraton in the best possible society today, and that we all together showed that we can to fight for humanity, but also to take care of our health. Sport and physical activity, which are the essence of this manifestation, are one of the most important forms of prevention and powerful weapons in the fight against diseases, “added Randjelovic. 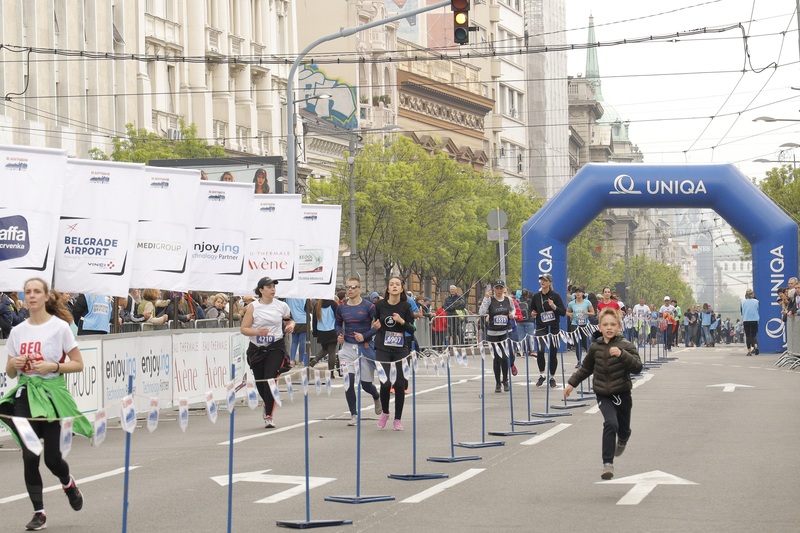 For the sixth consecutive year, UNIQA has officially secured the Belgrade Marathon, as well as the organizer of the traditional Music Avenue, which this year has received unique reinforcements – street musicians with trumpets, drummers and djs. 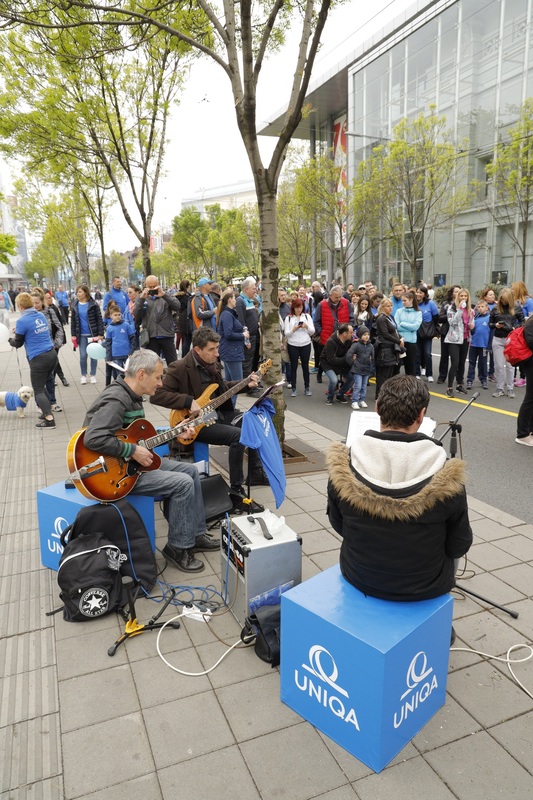 In addition to the points on the move from London to Branko’s Bridge, the music marathon is enriched with three new music stations – Flower Square, Most na Adi and Milutin Milanković Boulevard in New Belgrade.